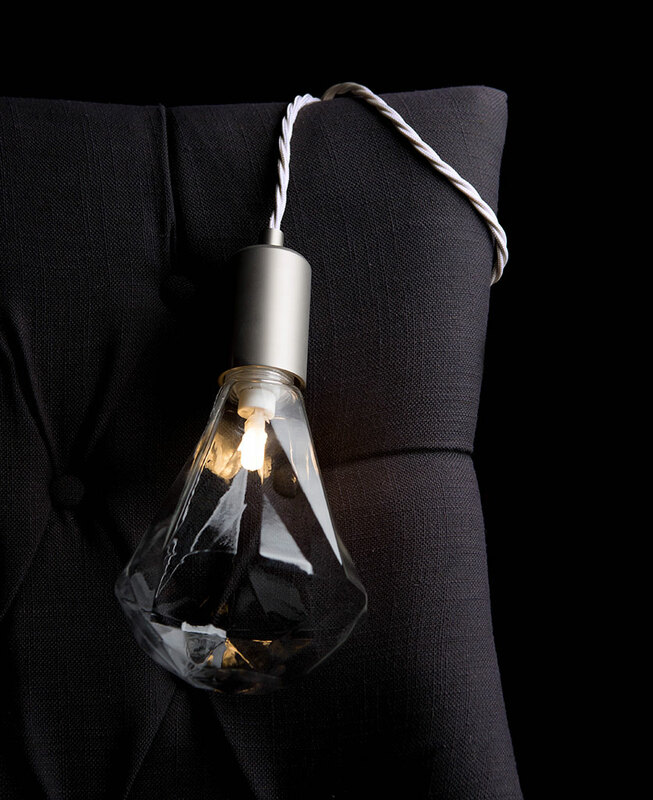 Add an elegant touch to your room with a Danni side light. Perfect to adorn any side table, this ready to plug-in lamp will cast a beautiful ambient glow worthy of any grown-up sanctuary. Our Danni Christalle lamp is an elegant new addition to our table lamp collection. Created using products from our lighting components range, this lamp has been designed to give you inspiration on how to coordinate our products to create secondary lighting in your interiors. 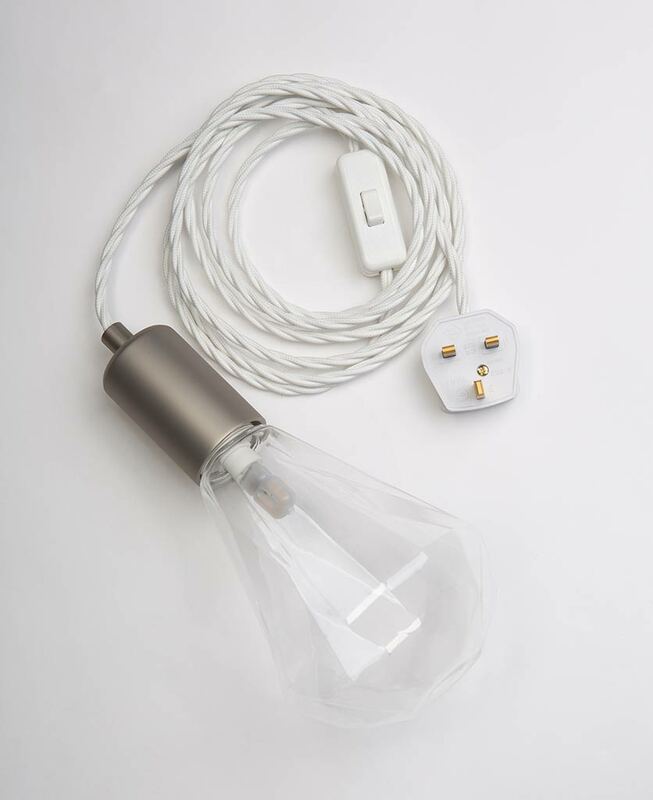 Danni is made up of a clear diamond light shade, a brushed nickel bulb cap, length of elegant white twisted fabric cable, inline switch and plug. We love Danni as a table lamp beside a bedside in a contemporary interior. Think off-white walls, soft grey bedding and white furniture. So chic. What’s amazing about this lamp is how versatile it is. With a 3-metre long cable it can be draped, twisted and stretched into a multitude of places and positions – it’s not solely designed for use as a table lamp. Drape this lamp over chairs or headboards to create beautiful side lighting, or even suspend over a hook on a wall for an uber-stylish wall light. 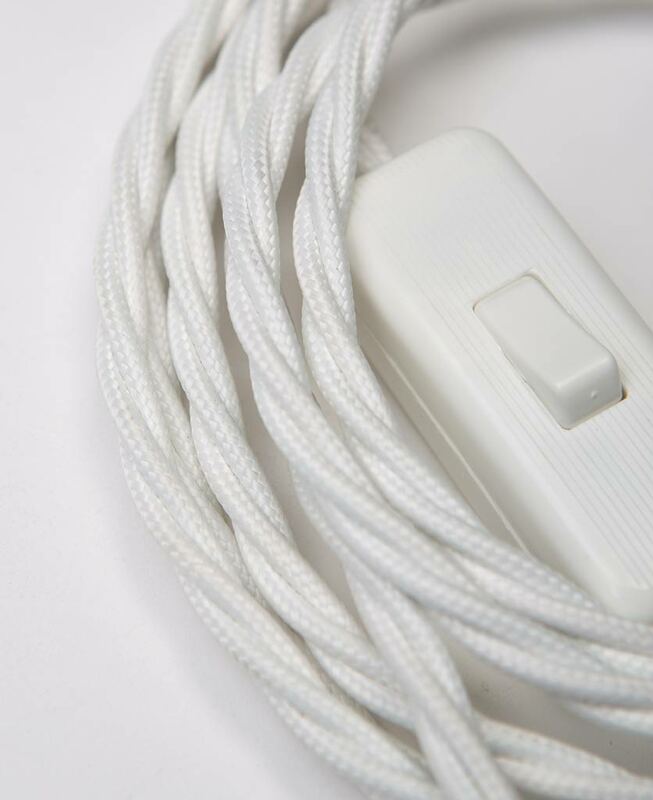 Each lamp is fully assembled with clear diamond christalle light bulb, a nickel bulb cap, a 3m length of white twisted fabric cable, a white inline switch and white 3 amp plug.